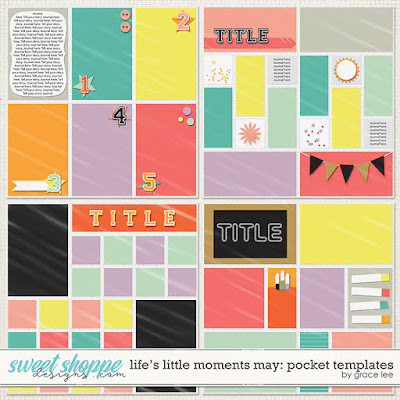 Life's Little Moments May: Pocket Templates is designed to make a summary of the past school year as we head into summer. As the school year comes to a close, this is a great time to review what your students have learned and milestones that have been made. This kit is perfect for teacher appreciation week, graduation, and any other school-themed layouts. 4 12x12 pocket templates with protectors in .PSD, .TIFF, .PNG and .PAGE formats.